O boy. A lot happened this week and a lot didn’t happen this week. I’ll start with something simple. I got all my protein powders I left at home and other goodies shipped down! Yay! Time to make some PSPcakes this weekend 😉 The DC VegFest is tomorrow! I bought a Metro Card to make it easier and I am going to meet up with the GW Animal Advocate club who are going to the fest and meeting at the station together. I should be safe. Let me know if your local and coming down! I will be there all day walking around or working the Plant Fusion table, so make sure to stop by and say hi! And now the big one. That phone call of mysteriousness I have been keeping from you. Well, I applied for a yoga scholarship called Yogis Heart back in the beginning of August. The scholarship is given to young adults (15-25) who are seeking a consistent practice, but may not be able to afford a studio, but desire a strong loving practice and a healthy outlet. The recipient receives 1 full-year of free yoga at any studio of their choice which is paid for by Yogis Heart through donations there receive as they are a non-profit. (Read the full break-down and mission here on their Facebook Page). Since you all know I have never been to a studio (never had access or could afford one), I decided to apply since down in DC I would have access, just not the financial means. I had to fill out the application and then from there 2 weeks ago I found out I had made it to the second round of selection and had a phone interview. From there it was narrowed down further. I got a call on Wednesday from the founder telling me that I had been chosen to receive the scholarship through one of the most rigorous rounds they have had! I started crying on the phone when she told me. I still can’t believe it! What happens now is I find the studio I want to attend, try it out to make sure I like it, and then commit to going twice a week to keep my scholarship. Since I won’t be in DC a whole year, the scholarship can be put on hold during vacations and breaks and then resume when I come back and for a little next year in the Fall. So right now I have my eye on Yoga Distract as my studio since they have a super close location on the Foggy Bottom campus of GW. I’ll be setting up my first class in the next few weeks and I am so nervous/excited/speechless. Really I am just so thankful and so so so excited to be able to grow and learn as a yogi! I have learned so much from my home practice, but a think a studio will allow me to expand in other directions as well and learn things from real instructors! Plus I am so excited to be a part of a real live yoga community! I am foreseeing many hours there and many friends made 🙂 Thank you so much Yogis Heart! This is going to be a crazy experience, but one I want to try and one I want to take. If it doesn’t work out, it doesn’t work out, but I am so ready to break out of my comfort zone with something I love and explore it to a whole other dimension! Monday: What Am I Doing Here? + Self-Care: It’s An Inside Job! Take care of yourself and follow your intuition. Because strength is a beautiful and inspiring thing! + Is Running Different For Men And Women? These are actually some of my favorite asanas to flow through! O gosh, pizza is so good! I need to make ones soon! I have gone to long without! I love nutritional yeast! I pour it on everything! + Finally, A Gadget That Tests For Gluten! Not sure if this should be in the tech category, but…this is something, haha! i.e A REAL foodie fanatic. I will hunt you down if you don’t eat you kiwi or mango skin…don’t be a food/nutrition waster! + Is Gluten REALLY The Culprit? Well, Shes got that one right! Love this! It happens, but it is not the end. + Strangers More Likely To Help Than Friends When Starting A Business? I think Twitter is my favorite platform. Follow me? + What If We Had Facebook When We Were Young? On the other hand, Facebook is my least favorite. I am so jealous of Gina’s trip! I read Jenny Brown’s book a while back and fell in love with everything she does. Plus…I really want to hug a cow. You know that is on my life-long bucket list! + Steve Jobs Didn’t Let His Kids Use Electronic Devices, So Why Should You? Wow, didn’t know that one. (Hypocrite?) But really, technology is getting bad…just to much! This made ME laugh, so it will definitely make you laugh! Yoga pants (and leggings) = love! Mine have been getting longer and longer, but I am still chipping away each day. + How Free Can Our Kids Be? It’s sad that now-a-days you can’t just run outside and play :/ Something to think about. 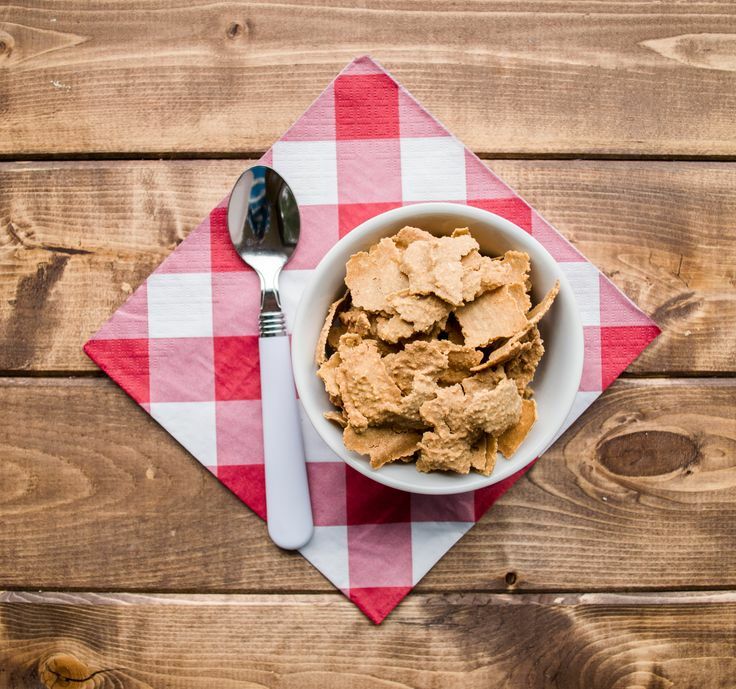 Homemade Oatmeal Flake Cereal. This is so much fun! Oat cereal FTW! 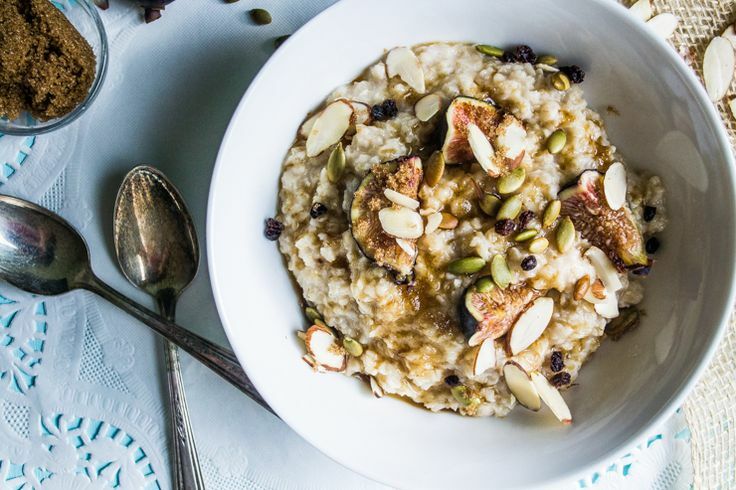 Early Autumn Fig And Oatmeal Breakfast Bowl. 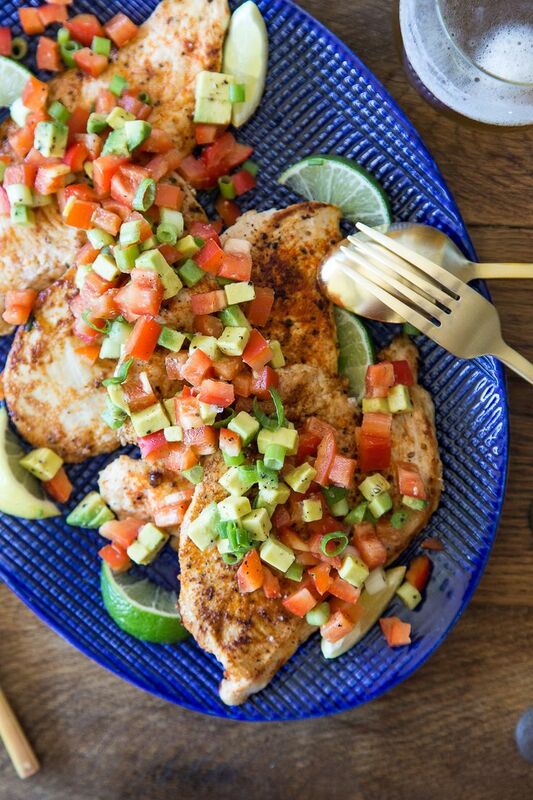 This.in.my.face.now! 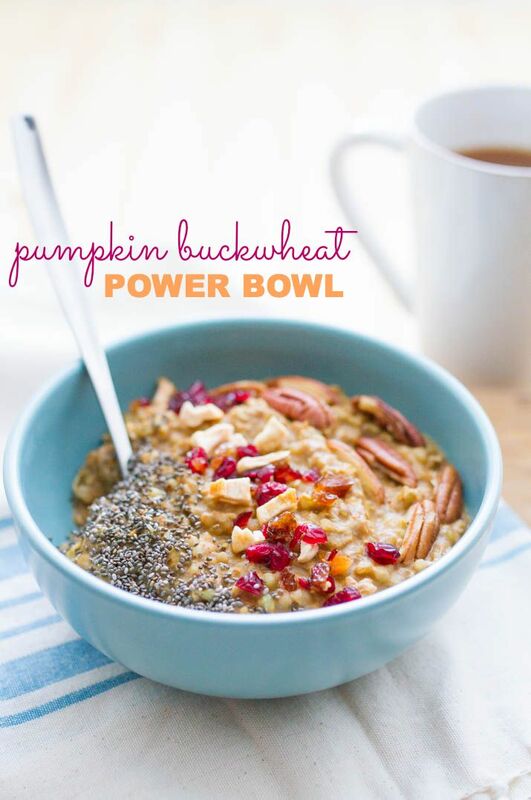 Pumpkin Buckwheat Porridge Power Bowl. Basically this is the definition of a Rebecca-Approved breakfast! 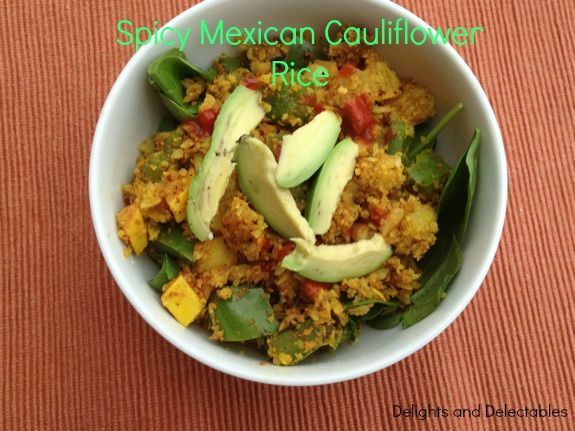 Spicy Mexican Cauliflower Rice. 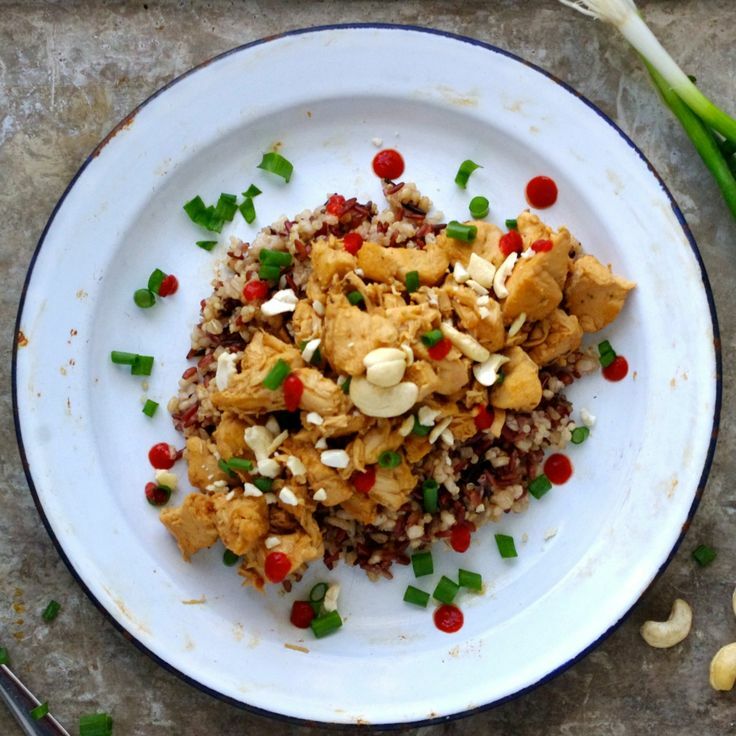 If you have not tasted the joy of cauli-rice…you need to ASAP! 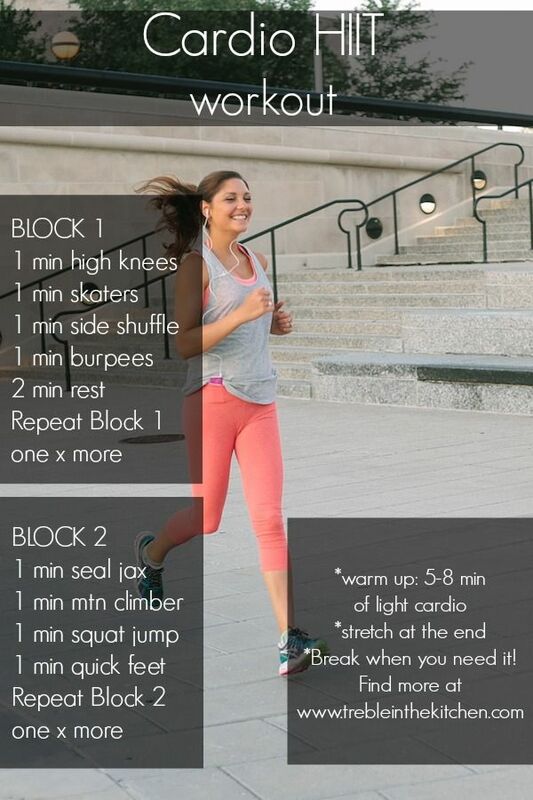 Cardio HIIT Workout. Nice one! + It was an okay week. Workouts were killer (I max out on weight on the squat press as a finisher. It is fun to use some machines that I haven’t had access to in a very long time. Switching it up does a body good! ), food was good (delicious), I accomplished a lot of work and feel less stressed. Good stuff. + I had my first “college” quiz yesterday. It was a microeconomics quiz. And…it…was…super easy! I hope my grade reflects that feeling! We only have 4 quizzes the whole semester and our top 3 count. So if you bomb or can’t take one, it won’t hurt you which is pretty chill. (O and my UW class was canceled yesterday because my teacher was “bedridden” haha, (his words). So no class there! College is so different since substitute teachers no longer exist! + My grandma sent me a $50 gift card to Starbucks…enough said. But instead of getting coffee now before class, I love getting Venti Unsweetened Hot TAZO English Breakfast Tea instead! It is much better on my tummy and so good! Although I drink it in 30 seconds flat (yes I burn my mouth) but I have no control over those bitter hot beverages like tea and coffee. + Are you coming to the DC VegFest?! I hope you are! I want to meet you! + Tell me something your grateful for this week! + What is your typical Starbucks/DD/coffee shop order? I haven’t gotten anything iced in awhile since it is so cold in the mornings. So now I will just stick to my black coffees and teas! + What’s your favorite social media platform? wow!! so exciting!! congrats friend. can’t wait to hear more. Keep us filled with YOGI inspiration! Thank you for sharing my post! Also that is awesome about your yoga scholarship! What a fantatic idea and congratulations of course! Thank you love! It’s such an awesome opportunity! Yoga and Pilates are always something to be grateful for! Yay for the yoga scholarship! I have never heard of that before. You deserve that! Will give you some zen time to think about your life and make the big decisions you are facing. Thanks Michelle! It’s hopefully going to be amazing! Thank you! It will be an incredible experience! GIRLLLLL thanks for the distraction!!! I just spent like an hour going through all of these links! WHOOPS! You are so welcome! I love hearing that I can squander peoples time with the Finisher 😉 It’s all for a good cause! Happy Friday Erin! And Happy Birthday!!! Me too! I can’t wait to take me first class! Congratulations on the scholarship – that is SO awesome! And your Grandma sent you a Starbucks gift card – soooo sweet. Thanks for linking up and happy Friday! Congratulations Rebecca! I have been waiting to hear what your good news was ever since you mentioned the phone call. I am so excited for you to get the chance to practice yoga in a studio, it is an amazing experience! Thanks Brie! I am so ready for this! I have dreampt of going to a studio for so long, haha! Congratulations on your scholarship! Sounds like an amazing opportunity. Good luck! This is so exciting, Rebecca! Congratulations on the scholarship. I’m SO happy for you about the yoga scholarship! I’ve never heard of something like that, but you so deserve it. I love the “no substitute teacher thing” in college..it means random days off! Thank you, thank you lovely friend 🙂 I’m so excited, but nervous to! Haha, it is pretty nice! And it also means no “busy work” that teachers would give the subs to give the students, haha! I love Yoga!! I just recently have gotten into it, and I’m quickly becoming so obsessed.